UKPSC, Haridwar has released Interview result for Uttarakhand Lecturer Exam 2014. UKPSC has declare the interview result and cut off marks for Lecturer Recruitment in Government Inter Colleges started from 05 April 2015. Check out the roll numbers, marks and cut off marks in Lecturer Exam in Uttarakhand. 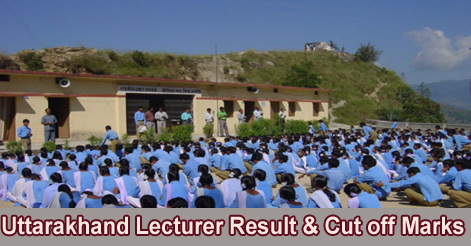 Help us to improve this article/job posting "Uttarakhand Lecturer Result & Cut off Marks". We would be glad if you can comment below and provide your valuable suggestions and feedback. If this page have any wrong information/list or out of context content, then you can report us as well. GOOD PORTAL FOR THE YOUNGSTERS. What is the qualifying marks to clear the uttrakhand pgt exam.